This is the true Greek Oregano with a strong flavor that is perfect for Italian, Greek and Mexican cooking. Use it in meat dishes, soups and sauces. It's an essential ingredient in pizza and tomato-based pasta dishes. Greek Oregano is a bushy, spreading perennial. It is heat and drought tolerant. Harvest the leaves before the plants begin to flower. 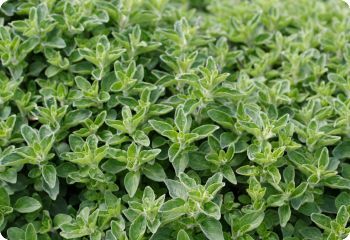 Greek Oregano maintains its flavor well when dried. Also known as Wild Greek Oregano. Hardy in zones 5-10. Start oregano seeds indoors 8 weeks before the last frost date. Barely cover the seeds with soil. Full sun to part shade.